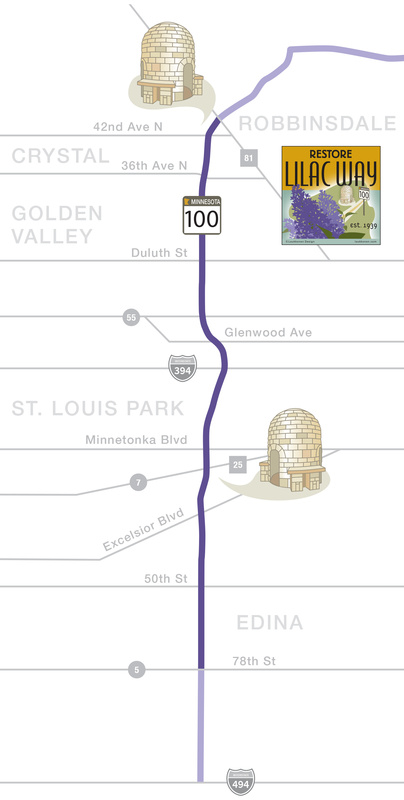 In 1939, seven roadside parks were built on Highway 100’s Lilac Way. Of those original parks, only Graeser Park in Robbinsdale and restored Lilac Park in St. Louis Park have beehive fireplaces. Rock Island (north end of original Lilac Park on Minnetonka Boulevard) also remains today. The other parks were lost to road reconstruction. Scroll over the gold map pins to see each park, then click for more info.